We’re glad you found us! 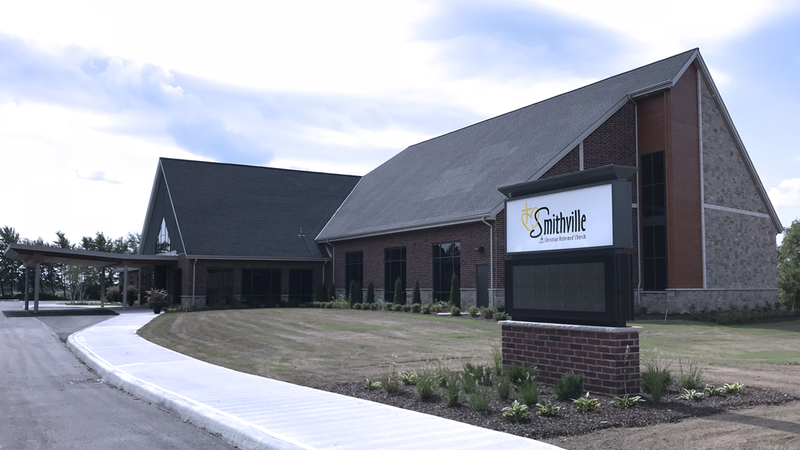 Smithville Christian Reformed Church is a church community most excited about one thing – the Good News of Jesus Christ! We invite you to drop by any Sunday morning at 10 am. Come as you are! If you would like to learn more about this church, please take a minute and tour our website. You are welcome to call our office with any questions you may have, or to stop in for a visit. We look forward to connecting with you. We understand that we are all broken people who are being restored through Jesus – the only One who can heal, forgive sins, and restore our relationship with the Father. Our prayer is that the Holy Spirit fills us so fully with the love of Christ, that we continually encourage each other to learn more about God’s truth, to grow deeper in our relationships, and to serve authentically wherever God leads us.